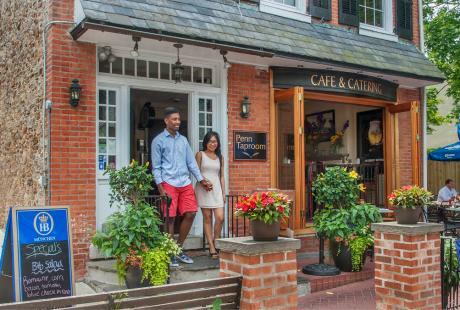 Outdoor adventurers, history lovers, foodies and art enthusiasts alike are sure to always find something in Bucks County that peaks their interest (or appetite)! In fact, it’s easy to find something for every letter of the alphabet. Follow our A to Z list for some of Bucks County’s most unique gems and activities. The Apple Festival is one of the many annual festivals held in Peddler’s Village. For apple themed treats, autumnal ales, fall-themed activities and handmade crafts, this is the perfect place to take in the best that fall has to offer. 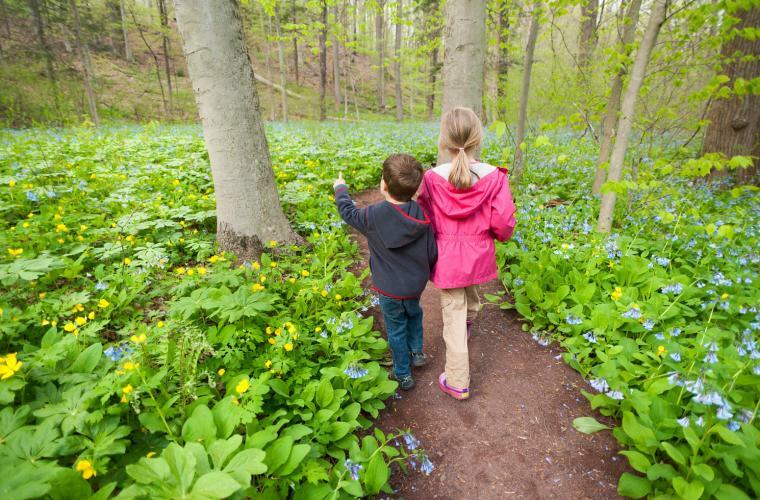 One of the most unique places in Bucks County, the Bowman’s Hill Wildflower preserve is a nature lover’s paradise. 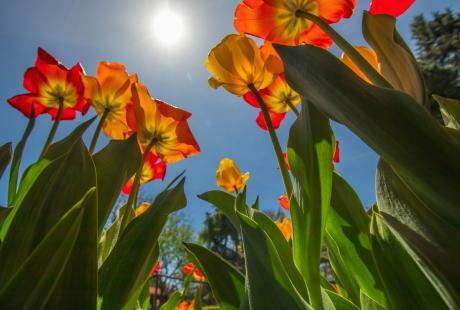 Observe diverse species of birds and flowers, wander through their 2 ½ miles of wooded trails, take part in one of their educational programs and visit their native plant nursery. 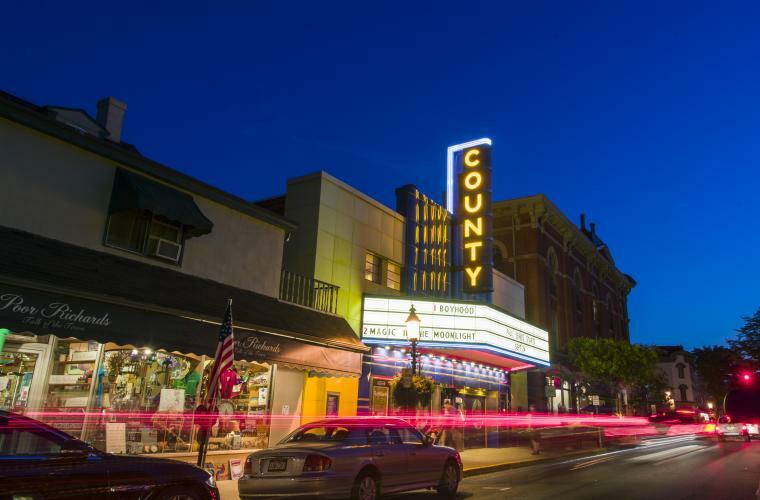 For a one of a kind cinematic experience, the County Theater is the place to go. They are a community-based movie theater specializing in independent, art and foreign films. Plan a movie date or catch one of their special events which include Saturday matinees for whole family. The 60 mile-long towpath that stretches through Bucks County offers outdoor activities for every type of adventurer. 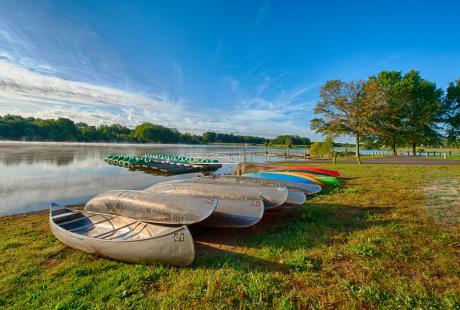 Bike along the canal, launch a kayak into the Delaware, reserve a tube with Bucks County River Country or picnic at one of the many parks along the river. Owner Kendall Bajek learned the art of empanada making in Buenos Aires and took her expertise to the heart of Doylestown where she serves up these delicious hand-pies stuffed with nontraditional fillings. With perfectly flavored dipping sauces and a menu that changes daily, this is a specialty that’s not to be missed! Started by two Perkasie men, Free Will Brewing Company’s taproom in Perkasie offers a rotating selection of different beers, growler fills and bottled beverages. 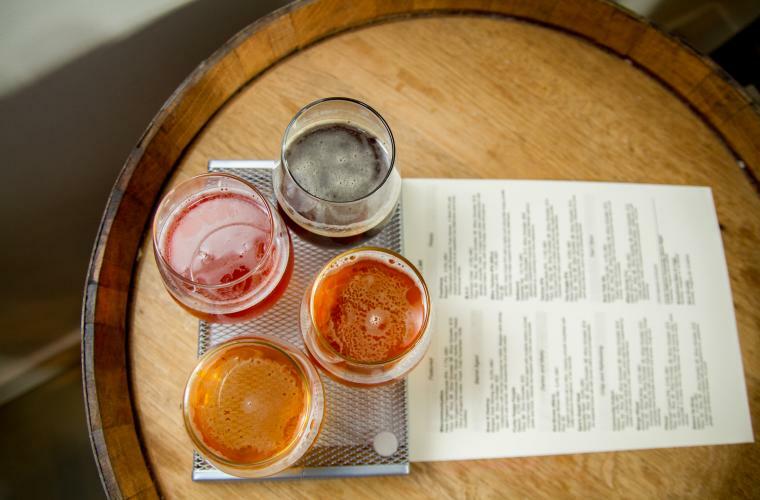 Take a tour, visit their taproom in Peddler’s Village and follow the rest of Bucks County’s Ale Trail for more local, craft beverages. Discover the history and hauntings of New Hope in a lantern-led walking tour where you’ll hear stories of local, restless souls. Tours meet every Saturday night from June through November with tours also meeting on Friday nights in October. Hellerick’s is an aerial adventure park that has something for the whole family. From May through November take on their high ropes course or Quick Jump Free-Fall, and from September through October pick your own pumpkins and gourds at their Fall Harvest Festival. 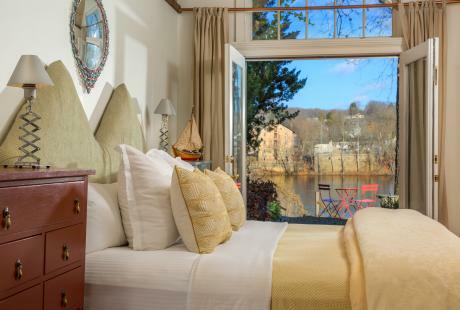 Named one of OpenTable’s 100 Best Brunch Restaurants in America for 2017, this premiere lodging, dining and events destination combines countryside views and world-class elegance. Sitting amongst 100 acres of preserved farmland and forests, book an unforgettable meal, overnight stay or wedding. 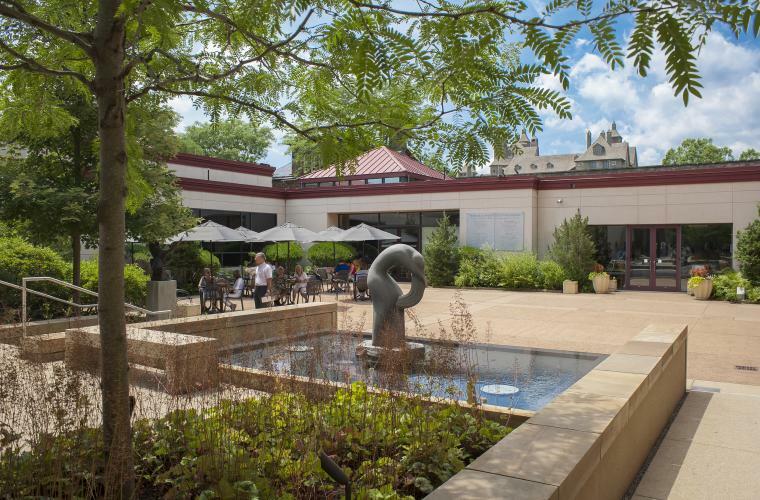 This museum nestled in the heart of Doylestown features special exhibitions, regional artists and a stunning permanent collection of artwork, including a world-class collection of Pennsylvania Impressionist paintings. Stop in to stroll through the gallery or check out one of their special lectures, dance and jazz performances or Ladies Night Out. Established in 1681, this historic restaurant in Bristol has five dining rooms, a historic tavern, and an outdoor riverfront patio for al fresco dining. Contemporary American cuisine made with seasonal ingredients is their specialty. Overlooking Peace Valley Park and Lake Galena is a sight to see and smell! 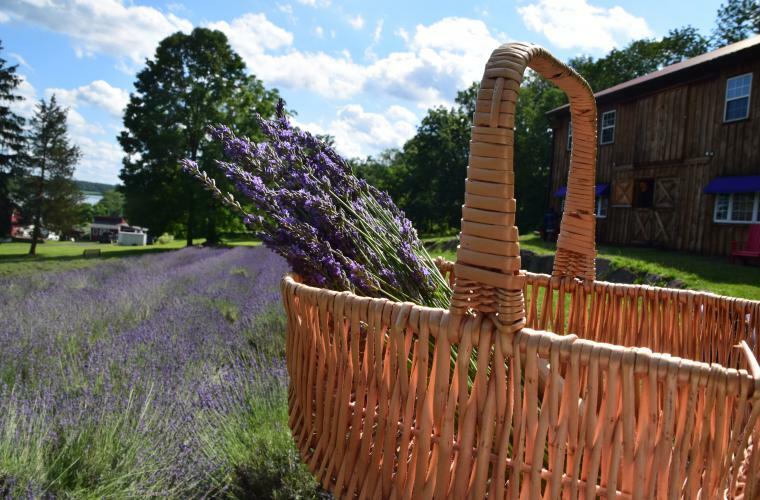 At the Peace Valley Lavender Farm you can harvest your own fragrant bunches in the summer months, and browse their shop year round for essential oils, bath and body products, culinary lavender, sachets, pillows and more lavender specialties. This National Historic Landmark is a “working history” museum where handmade tiles are produced using the same techniques developed by its founder and builder, Henry Chapman Mercer. 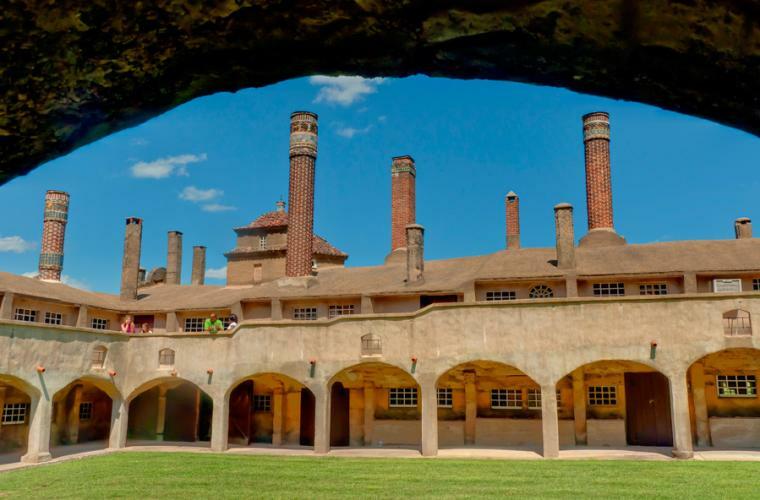 Tour the historic museum, browse their unique selection of tiles and visit Henry’s former home, Fonthill Castle, on the same property. Each May, it’s home to the annual Tile Festival featuring historic, contemporary and rare tiles from artists and collectors around the world. A delectable waffle and ice cream shop, Nina’s is a local favorite! They pasteurize uniquely flavored ice cream at their dairy plant in Bucks County and make Liege style waffles from their own in-house recipe. Visit one of their shops in Peddler’s Village, Doylestown and New Hope. Highland Farm in Bucks County was home to Oscar Hammerstein and Richard Rodgers when they produced timeless classics, including “South Pacific,” “The Sound of Music,” “The King and I," and “Oklahoma!” Book a stay at the bed and breakfast in one of their musical themed rooms and experience the beauty that inspired Academy, Tony and Grammy award-winning work. This reconstruction of William Penn’s 17th century home along the Delaware River sits on 43-acres of peaceful green space. 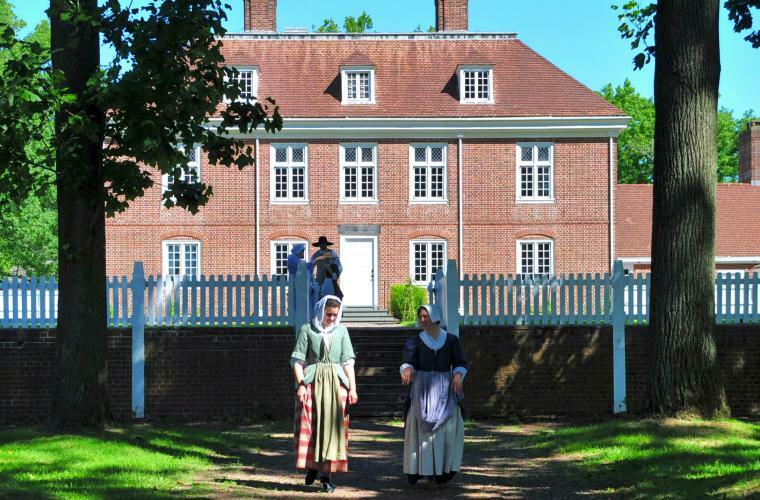 Visitors can experience colonial life through historic demonstrations, hands-on activities and guided tours of the manor. The Quakertown Antique Mall is one of the many places to go antiquing in Bucks County. Peruse through collectibles, furniture, jewelry and greeting cards in this 12,000 square foot facility. 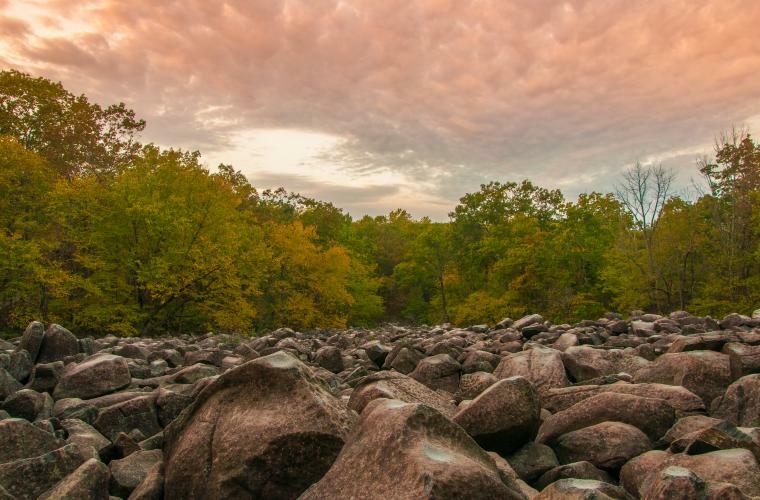 Pack a hammer and head over to a 123-acre boulder field to hear the sonorous stones of this Upper Black Eddy Park. Enjoy a picnic among nature’s music and hike to Bucks County’s largest waterfall. Each spring, this large herring fish, migrates from salt water to the Delaware River to mate, and New Hope and Lambertville put on their famous, weekend-long Shad Festival to celebrate. Enjoy fare from the many restaurants offering shad dishes, watch fisherman haul their catches out of the water, listen to live musical performances and visit the craft booths, carnival rides and educational exhibits. One of Bucks County’s many local farms and orchards, Tabora Farm can be visited any time of year for home-baked goods, gourmet chocolate, fair trade coffee beans, full-service deli, homemade jams, local honey, teas and more. You won’t leave here hungry as their bakery alone offers more than 160 fresh made items daily. Save the dates for seasonal pick-your-own events throughout the year. One of twelve covered bridges in Bucks County, the Uhlerstown Covered Bridge sits among tiny river homes and Palisades cliffs. 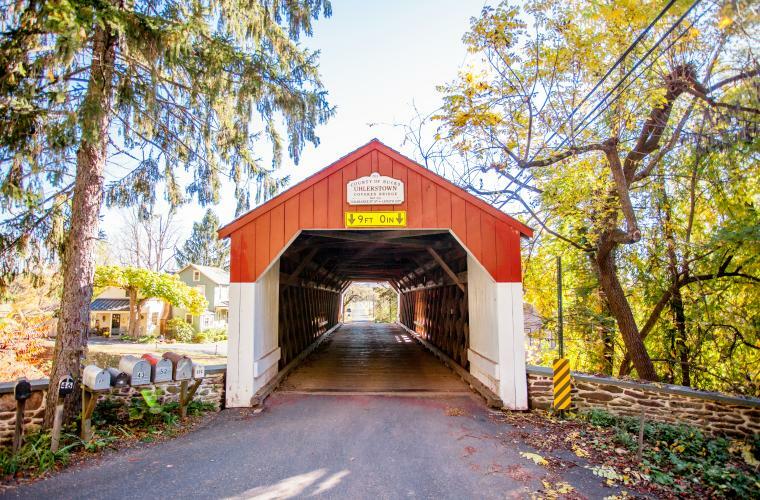 It is the only covered bridge that crosses the Delaware Canal and can be visited on Bucks County’s self-guided Covered Bridge Tour. Take to the skies in an antique aircraft overlooking the breathtaking farms and valleys of Bucks County. Try a piloting lesson or enjoy the view on one of their pre-planned flights. Feeling adventurous? You can plan your own flight customized with what you want to see. The driest winery along Bucks County’s Wine Trail, Wycombe Vineyards is an “Estate” Vineyard operated by the Fraser family. Stop in for a tasting, walk among the vines and in the harvest months (September and October) you can take part in the wine-making process during their Open Harvest Days. 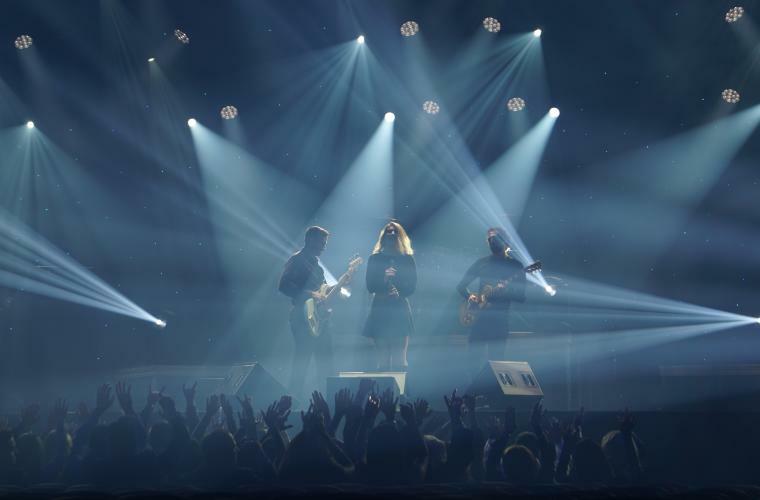 The new Xcite Center at Parx Casino is bringing some of the hottest acts in show business to the region. From Rascal Flatts to Dane Cook, the tickets in this 1,500 guest event space sell out quickly! New American cuisine with a twist is the specialty at this Revolutionary-era inn. 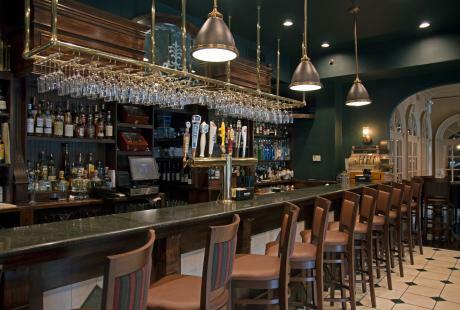 Enjoy a casual lunch with views of the Delaware River or dinner and live music on a Saturday night. From crepes, to rich espresso, to ice cream sundaes, the Zebra Striped Whale in Newtown has it all. A dessert destination with a funky atmosphere that’s just as sweet, it’s the perfect place for a post-dinner treat or midday snack.